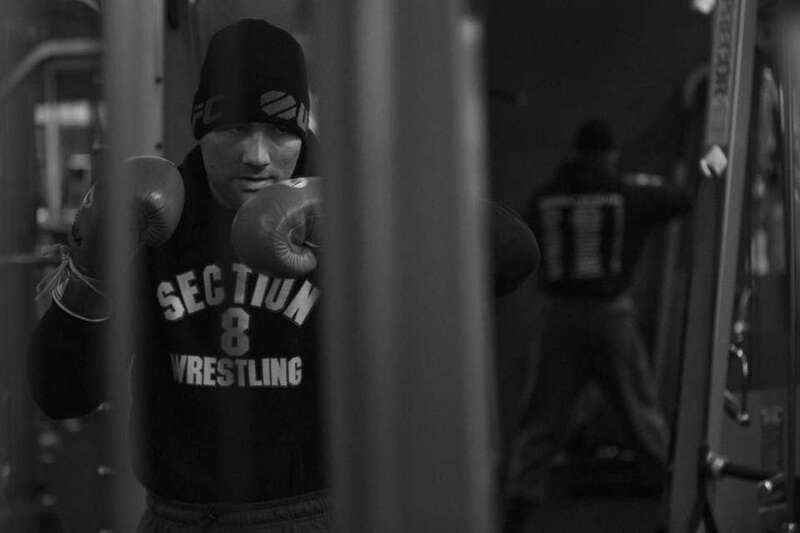 Go behind the scenes with UFC middleweight champion Chris Weidman during fight week for UFC 187 in Las Vegas. 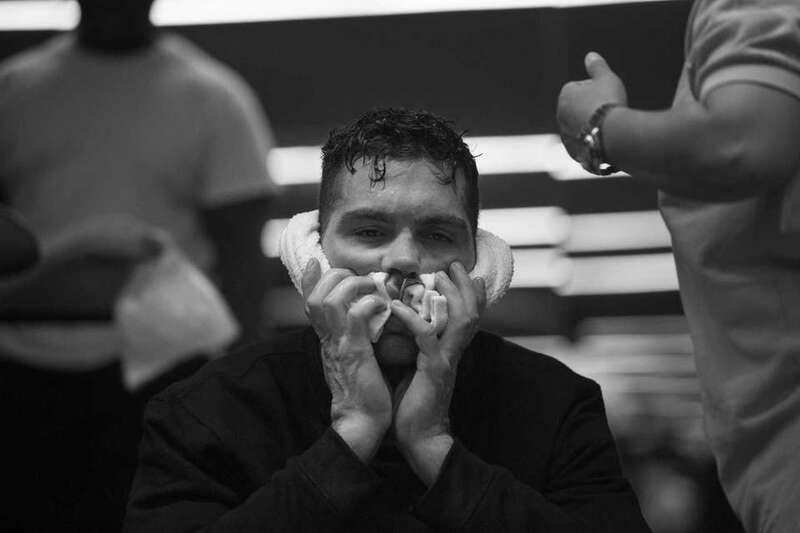 From workouts to weight cuts, from relaxing in the hotel to fulfilling media obligations, take a look at what life looks like for the Baldwin-raised Weidman before you see him in the octagon on fight night. 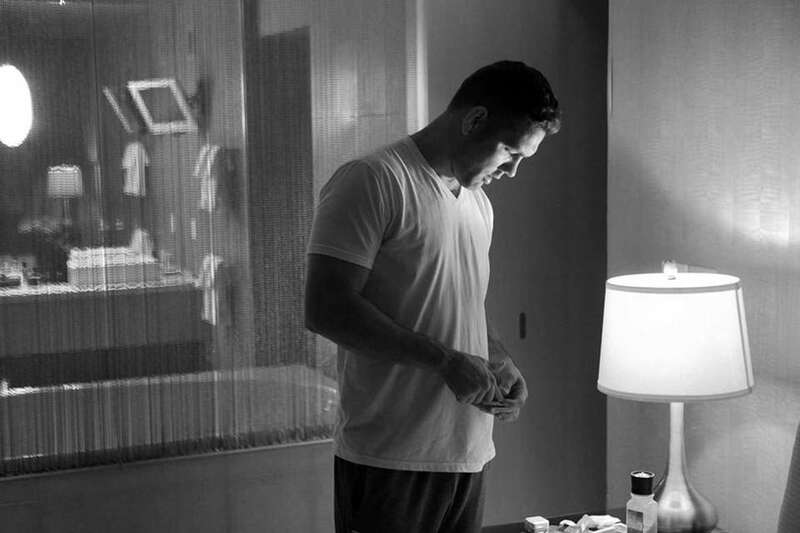 UFC middleweight champion Chris Weidman gets settled into his new room after switching suites at The Palms Hotel in Las Vegas on Monday, May 18, 2015. 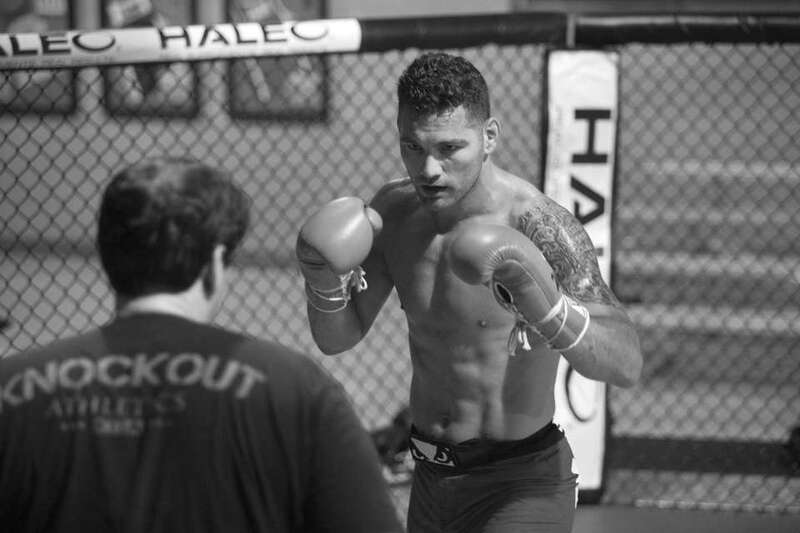 Weidman arrived Sunday to get ready for his title defense against Vitor Belfort at UFC 187. After switching hotel rooms on Monday night, the first priority for UFC middleweight champion Chris Weidman and Gian Villante was getting the video game system hooked up. Chris Weidman talks with members of his team before a workout on Monday, May 18, 2015, in Las Vegas. UFC middleweight champion Chris Weidman warms up for a workout at The Ultimate Fighter Gym in Las Vegas on Monday, May 18, 2015. Chris Weidman does pushups as part of his warmup during a UFC 187 fight week workout in Las Vegas at the "TUF" Gym on Monday, May 18, 2015. 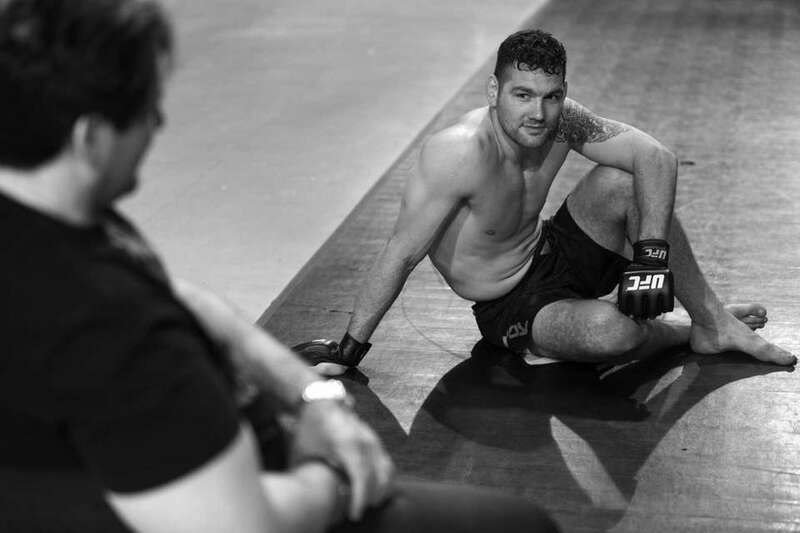 UFC middleweight champion Chris Weidman loosens up to work on techniques with training partner Gian Villante at the "TUF" Gym in Las Vegas during UFC 187 fight week on Tuesday, May 22, 2015. 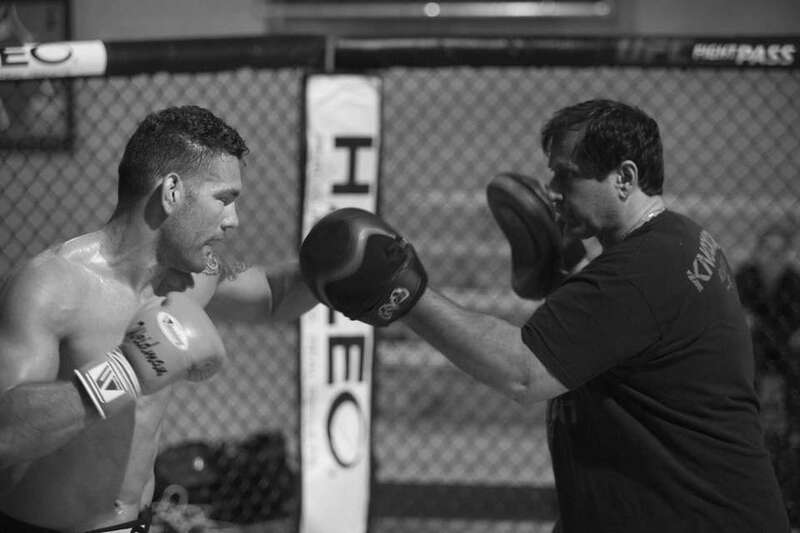 UFC middleweight champion Chris Weidman hits pads with trainer Ray Longo during UFC 187 fight week at the "TUF" Gym in Las Vegas on Tuesday, May 19, 2015. UFC middleweight champion Chris Weidman throws a left hook during pad work with trainer Ray Longo at the "TUF" Gym in Las Vegas on Tuesday, May 19, 2015. 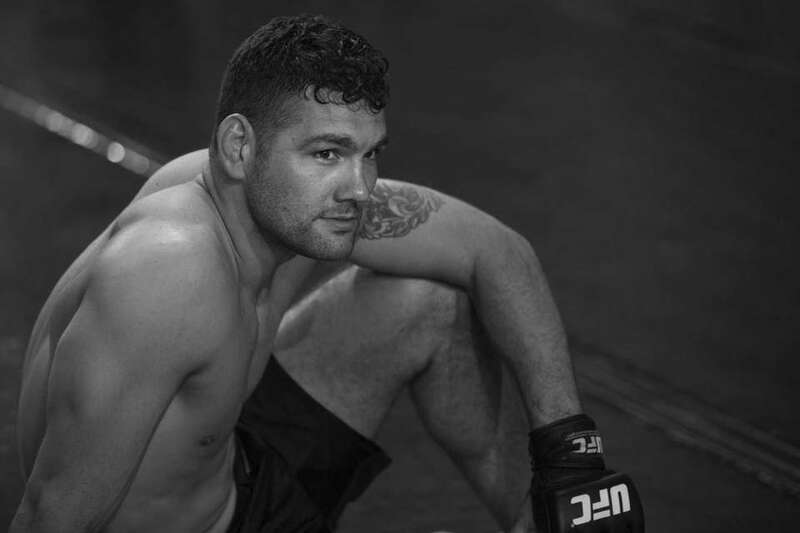 Weidman was preparing to defend his title against Vitor Belfort at UFC 187 on Saturday. UFC middleweight champion hits pads with trainer Ray Longo at the "TUF" Gym in Las Vegas on Tuesday, May 19, 2015, in preparation for his title defense against Vitor Belfort at UFC 187 on Saturday. 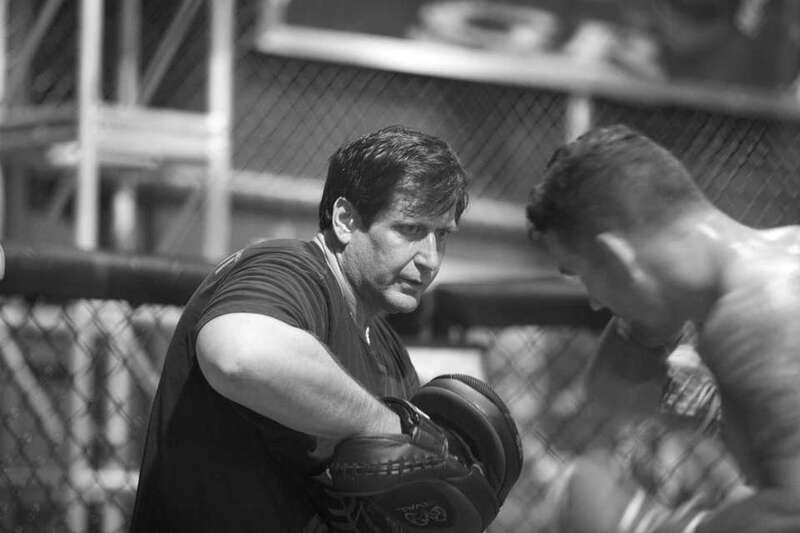 Trainer Ray Longo, left, goes over combinations with Chris Weidman at the UFC Training Center in Las Vegas on Tuesday, May 19, 2015, leading into UFC 187 on Saturday. Chris Weidman makes a joking reaction after acupuncture needles were inserted into hands his feet after his workout in Las Vegas on Tuesday, May 19, 2015. 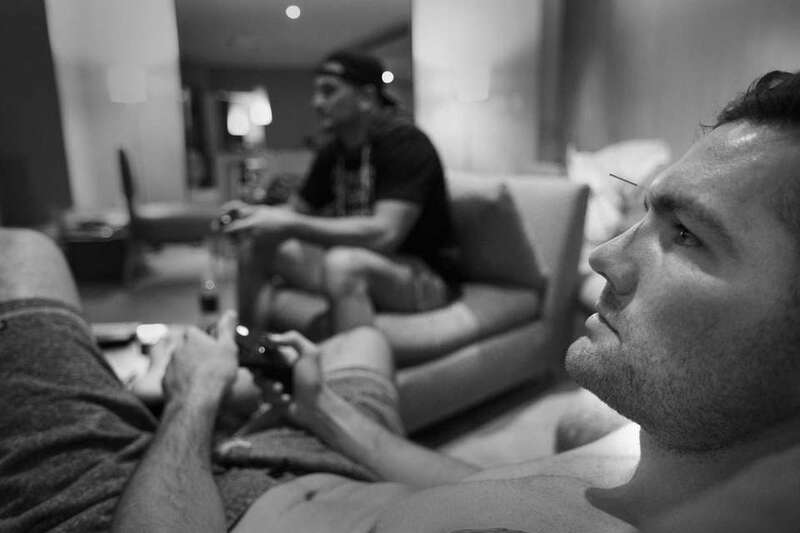 UFC middleweight champion Chris Weidman plays Gian Villante in FIFA for XBox on Tuesday, May 19, 2015. 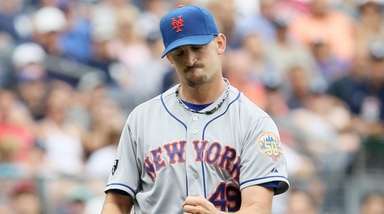 That needle in Weidman's forehead? 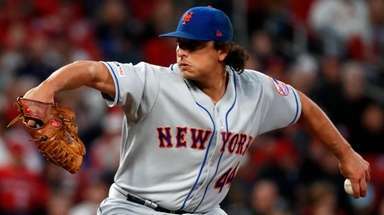 That's acupuncture. UFC middleweight champion Chris Weidman gets his makeup done at the MGM Grand in Las Vegas on Wednesday, May 20, 2015, for his interview that airs during Saturday's UFC 187. 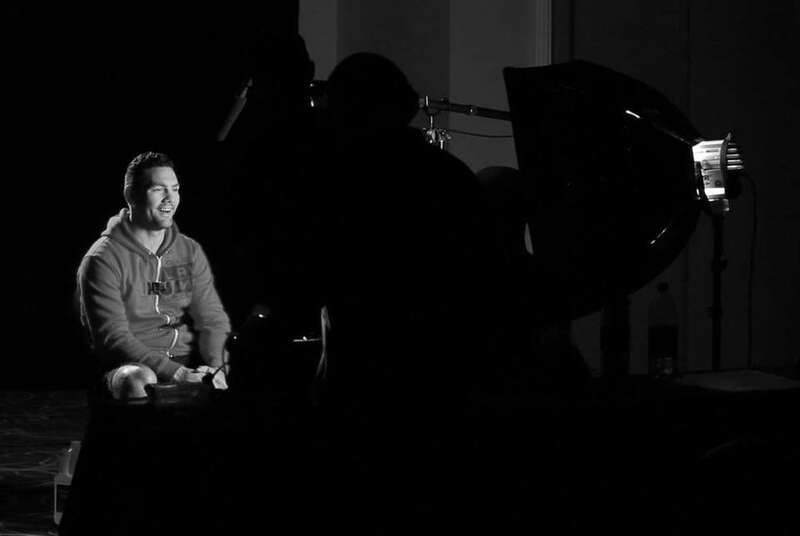 UFC middleweight champion Chris Weidman sits down for his UFC interview on Wednesday, May 20, 2015, which airs Saturday during the UFC 187 broadcast. UFC middleweight champion Chris Weidman does a photo shoot with the UFC during UFC 187 fight week in Las Vegas on Wednesday, May 20, 2015. 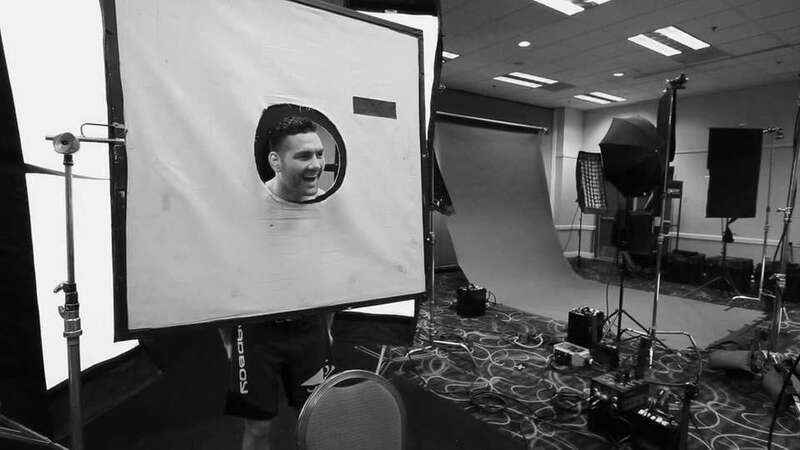 UFC middleweight champion Chris Weidman jokes around at a UFC photo shoot during UFC 187 fight week in Las Vegas on Wednesday, May 20, 2015. UFC middleweight champion Chris Weidman runs through grappling drills with training partner Gian Villante at the "TUF" Gym in Las Vegas on Wednesday, May 20, 2015. Former UFC welterweight champion Matt Serra keeps a watchful eye on middleweight champion as he drills jiu-jitsu techniques on Gian Villante at the "TUF" Gym in Las Vegas on Wednesday, May 20, 2015. 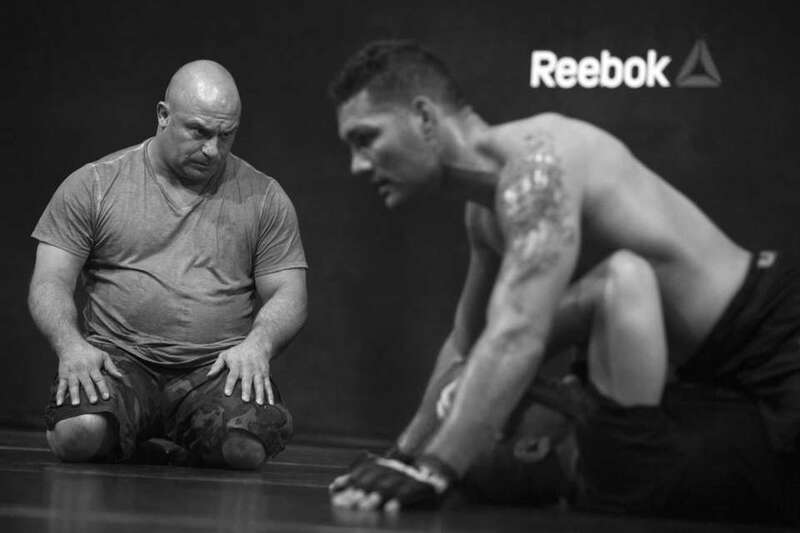 UFC middleweight champion Chris Weidman rests and talks with trainer Ray Longo after completing his workout at the "TUF" Gym in Las Vegas on Wednesday, May 20, 2015. UFC middleweight champion Chris Weidman rests after completing his workout at the "TUF" Gym in Las Vegas on Wednesday, May 20, 2015. Gian Villante feeds UFC middleweight champion a piece of gum during Weidman's weight cut for UFC 187 on Thursday, May 22, 2015. UFC middleweight champion Chris Weidman starts his weight cut for UFC 187 by shadow boxing in the fitness center on Thursday, May 21, 2015. 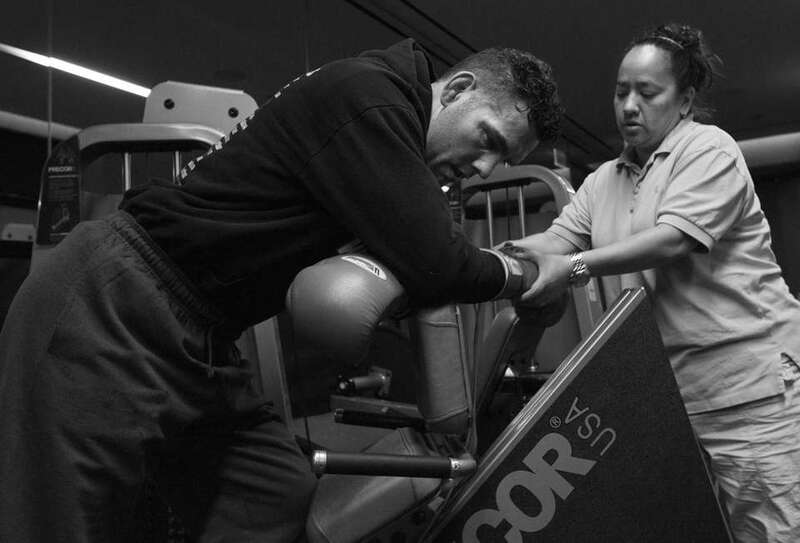 UFC middleweight champion Chris Weidman starts his weight cut for UFC 187 by shadow boxing in a Las Vegas hotel fitness center on Thursday, May 21, 2015. Nutritionists from Perfecting Athletes tend to Chris Weidman amid his weight cut for UFC 187 on Thursday, May 21, 2015. UFC middleweight champion Chris Weidman goes through his weight cut for UFC 187 in Las Vegas during a workout on Thursday, May 21, 2015. 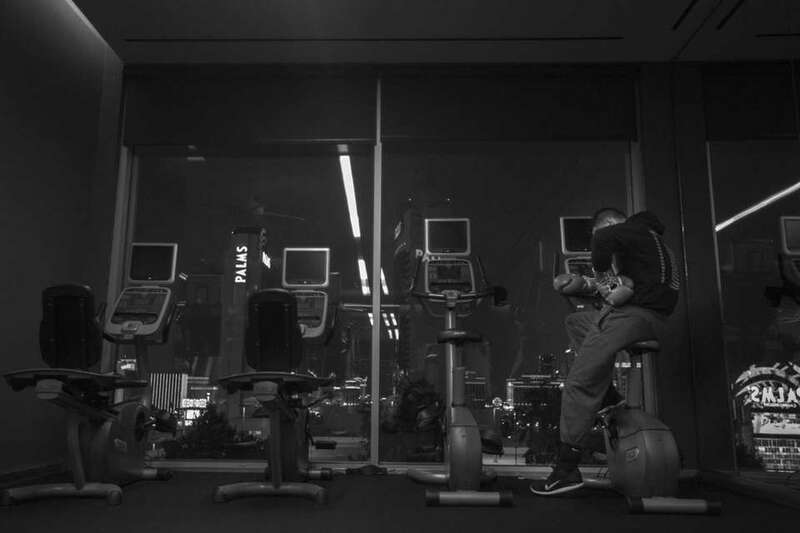 UFC middleweight champion Chris Weidman rests for a moment during his weight cut on Thursday, May 22, 2015, at the fitness center at Palms Place in Las Vegas while one of his nutritionists from Perfecting Athletes assists..
UFC middleweight champion Chris Weidman rests for a moment during his weight cut on Thursday, May 22, 2015, at the fitness center at Palms Place. 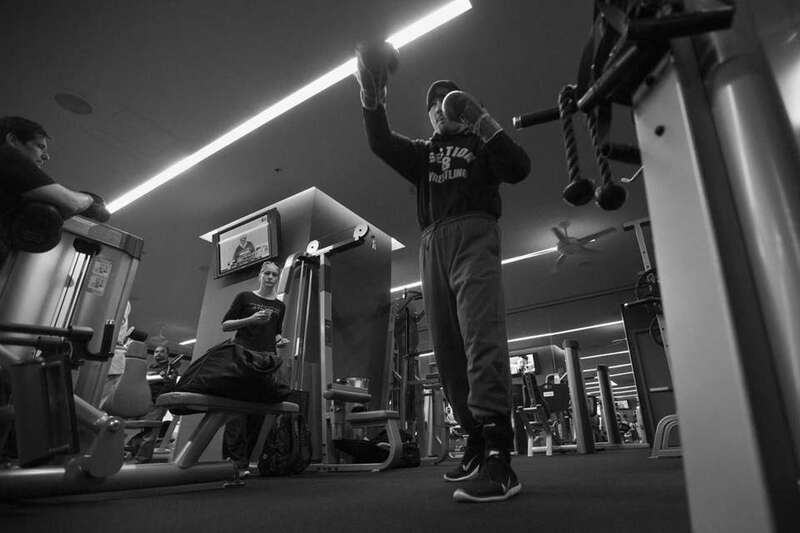 Weidman worked out for close to three hours and dropped 10 pounds. 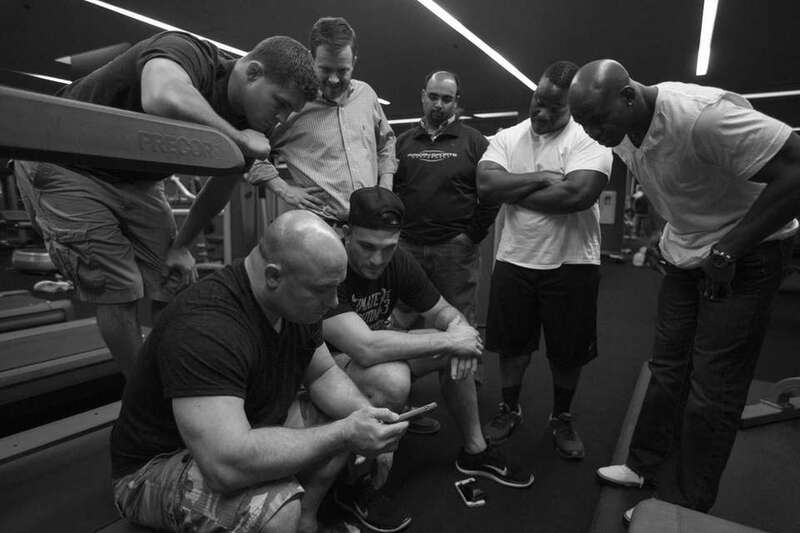 Team Weidman gathers around Matt Serra's cellphone to watch an episode of UFC's "Embedded" series while behind them, UFC middleweight champion Chris Weidman goes through his weight cut on Thursday night, May 21, 2015, in Las Vegas for UFC 187. Michelle Ingels of Perfecting Athletes works with UFC middleweight champion during the final portion of his weight cut in the whirlpool on Thursday night, May 21, 2015, in Las Vegas. 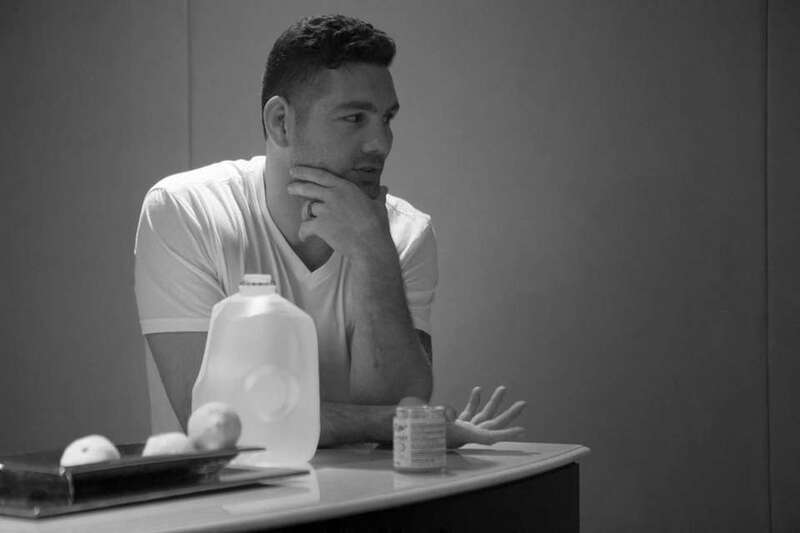 Weidman was on weight at 185 pounds at Friday's UFC 187 weigh-ins.Chris Weidman prepares during fight week in Las Vegas. 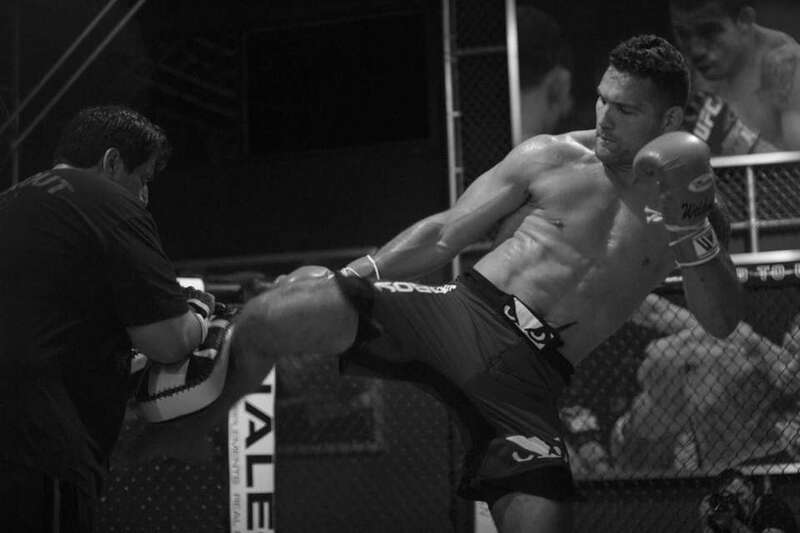 The Baldwin-raised Weidman fights Vitor Belfort at UFC 187 on Saturday, May 23, 2015. 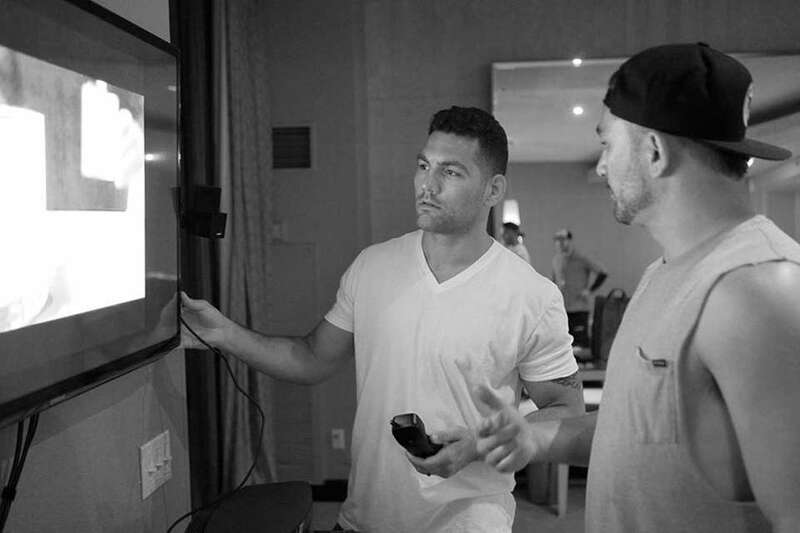 UFC middleweight champion Chris Weidman watches "The Godfather" on his iPad with Gian Villante while cutting weight in a warm-water whirlpool in a Las Vegas hotel spa on Thursday, May 21, 2015. Gian VIllante, center, joins UFC middleweight champion Chris Weidman in the whirlpool during his weight cut for UFC 187 on Thursday, May 21, 2015, in Las Vegas.